Cross Trail Outfitters of Illinois - Champaign Co.
Want to have fun with a great bunch of guys while learning new outdoor skills in a Christian setting? Get involved in the CTO Champaign Chapter. 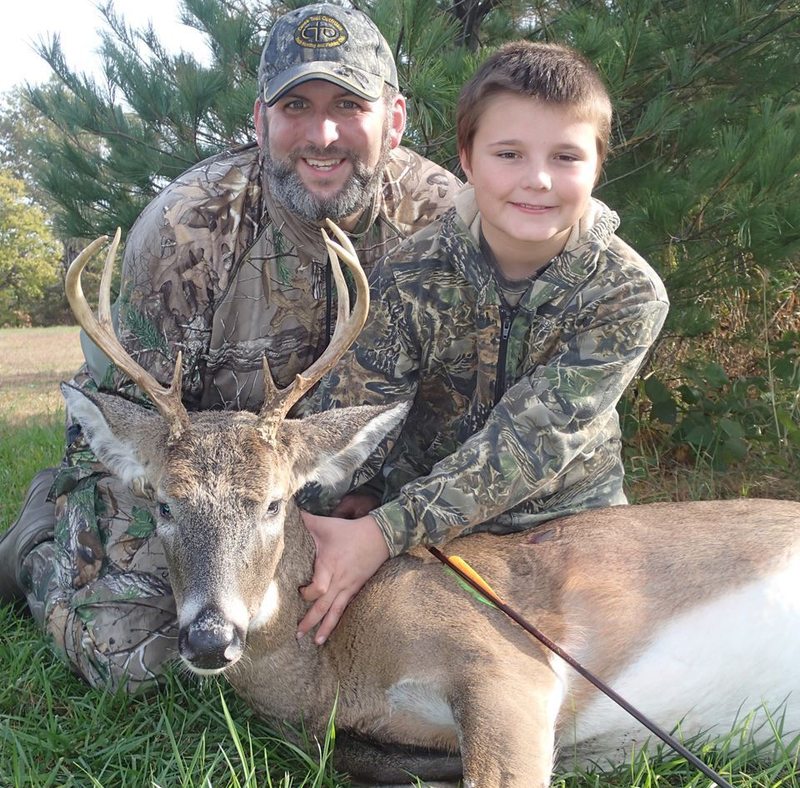 CTO is a youth hunting and fishing club for boys and young men age 7-20. We are "Building Men, Preserving our Heritage and Sharing our Faith." Go with us on real hunting and fishing trips and other exciting outings - including the coolest Summer Camps in the world! Like clay in a potters hands Eric ‘Bear’ St. Pierre was formed by God to be a CTO Outfitter. He began his journey in the outdoors as a child through his local Scouting program where he found a mentor that challenged him all the way through this path until he earned the rank of Eagle Scout. At that time only 1 out of 100 Scouts earned the rank of Eagle. It was through these programs that Eric formed his love for the outdoors, learned principles of conservation, and developed one of CTO’s principles to leave a place better then you found it. It was during this time in Eric’s life that he felt he was called into Youth Ministry and graduated from Trinity Christian College with dual majors in Theology and Christian Education with a minor in Music. He soon discovered that he did not fit in the traditional mold of youth ministry and was lead to become a Campus Life Director for Metro Chicago Youth for Christ. Because of his successes as a Campus Life Director Eric was asked to coach community youth ministers in helping them develop meaningful relationships with youth throughout the communities in which the served. Eric also partnered with Willow Creek Association’s Bo Boshers in becoming an official trainer of Becoming a Contagious Christian Youth Edition. It was also during his college years that Eric discovered another passion and began to pursue it with fervor… Professional Wrestling! It was soon after this discovery that BEAR was formed and after 14 years of dancing in the squared circle the Lord has called Eric back to working with our young men.